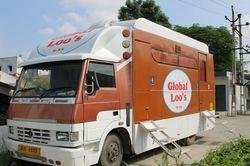 We are a leading Manufacturer of vip ac vanity mobile toilet vans and mobile washroom from Ahmedabad, India. Attaining at the reputed position in the industry, we are engaged in manufacturing & supplying a remarkable range of VIP AC Vanity Mobile Toilet Vans. 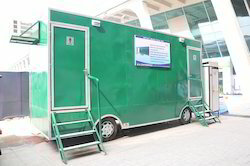 We are the supplier of the Mobile Washroom for the elite events to our clients.